Store fruits and vegetables appropriately—in a cool, dark, well-ventilated storage area—and the fall harvest can last you most or all the way through the winter. Until fruits and vegetables were available year-round at the grocery store, the root cellar played a vital role in daily life. 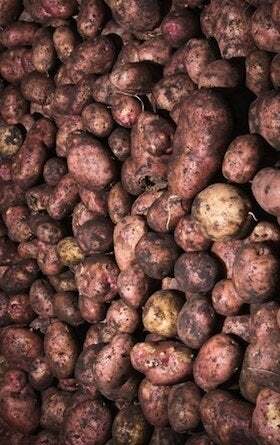 Today, backyard gardeners (and those who buy in bulk at peak season) are rediscovering the advantages of the root cellar—in essence, a pantry for long-term storage of produce like apples and potatoes. 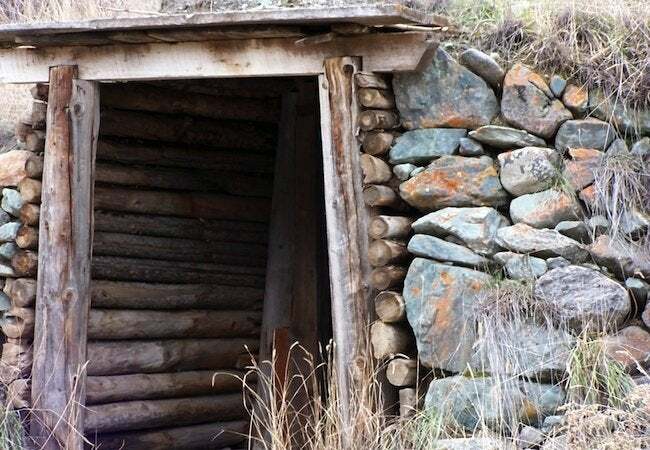 Though classic root cellars were dug into hillsides, there are plenty of more casual ways to achieve the same result. No matter your approach to making one, keep these considerations in mind as you work to ensure that your grown or purchased produce lasts as long as possible into the winter season. When you set out to build a root cellar, temperature outweighs all other factors in importance. The reason why root cellars are so often underground is that below grade, temperatures are not only stable but cool. Anywhere between 32 and 40 degrees Fahrenheit is ideal. Keep a close eye on the temperature, at least when you start. For help here, it’s certainly worthwhile to invest in a quality thermometer; choose one that tracks minimum and maximum readings over a set period of time. Indoors, store produce low to the ground and close to the walls. Here, produce will remain a few degrees cooler than it would on a high shelf near the middle of the space. If your basement doesn’t get down to 32 or 40 degrees, follow in the footsteps of others who have dug below the basement slab in order to access cooler temperatures. The easiest method—though it has drawbacks—is to simply bury a produce-filled plastic or metal trash can in the yard, covering it closed with straw. For a successful root cellar, the ventilation system must be designed so that it exchanges air without simultaneously raising the temperature. That can be accomplished by leveraging simple science: Warm air rises and cool air falls, so locate the intake on the low side of the cellar, while positioning the outlet near the ceiling of the storage area. A fan can force air through the intake, and if you are building the root cellar in your basement, a window can serve as the outlet. If possible, store produce in elevated crates for better circulation. Maintain a humidity level that’s high—about 90 to 95 percent relative humidity—but not so high that the root cellar becomes a dripping jungle. A dirt or gravel-covered floor may be moistened periodically with the addition of water. If humidity levels still fall short, try packing the produce in damp sawdust, sand, or moss. Along the way, track your progress with a hygrometer, a simple device that measures relative humidity. Because light can cause some fruits and vegetables to spoil more rapidly, keep the root cellar as dark as possible. If the storage area is going to inhabit your basement, plan to fully cover over any windows. A root cellar doesn’t need to be large. A five-by-eight space can hold up to 30 bushels—more than enough for most families. To maximize storage and to keep things organized, install slatted shelves along the walls. Different types of produce have different storage requirements. If you’re serious about building a root cellar, research the recommendations for the specific fruits and vegetables you plan to keep there. With the general advice above, however, you should be well on your way to winter’s worth of healthy, fresh eating. Yum!